Driveways are the perfect hosts of mildew, grime and grease stains especially, if they have not been pressure washed (power washed) for a long time. The old saying that the first seven seconds are the most important to give the right impression, is undeniably true for any house and its exterior. Not only is this upsetting to see every time you get home, but it can also give the wrong impression to your guests and neighbors. Our Driveway Power Wash Westchester NY and Fairfield CT teams boast deep expertise in pressure washing and can completely rejuvenate your driveway and make it look like new again. Our top-notch high-pressure commercial grade equipment can remove even the most stubborn mildew, grease, grime and oily deposits and increase your driveway’s lifetime and curb appeal. Driveways are one of the entry points of the home, but require a good pressure wash service and maintenance to remain in sound condition. We recommend that driveways are pressure washed at least once a year to prevent possible costly repairs. CALL MISS MAID TODAY, if you are looking for a trusted, reliable and professional cleaning service provider. 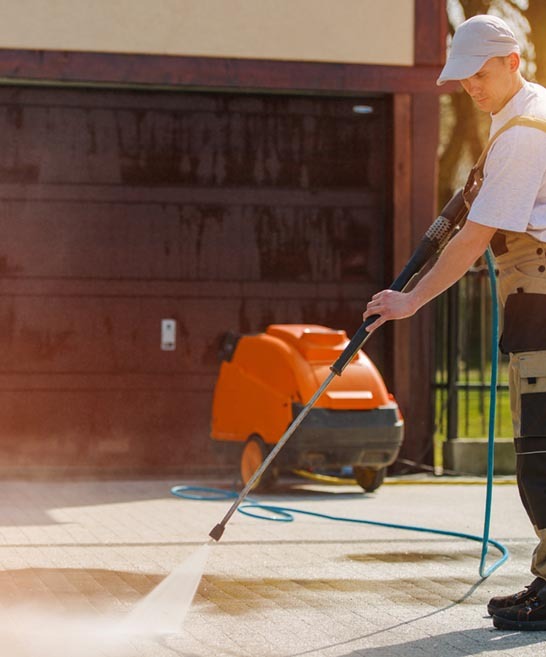 Quality pressure washing requires the conformity to a strict cleaning procedure, which could vary in terms of intensity and time depending on the surface material and condition of the driveway. Miss Maid’s most frequently performed driveway cleaning procedures starts with removing any household belongings and pressure washing any loose landscape debris (leaves, branches, grass clippings, etc.) to prep the driveway for environmentally safe detergent application. Once the prep is complete, we will apply the necessary biodegradable cleaning detergent, let it breakdown any unwanted residues such as grease, grime, rust, engine oil and mildew, and scrub your driveway clean with our specialized commercial grade equipment. That’s it! Your neighbors may think more of you because of the appearance of your driveway. When it comes to other common house exteriors, we have equally extensive experience and can clean also your siding, patio, deck, porch, fence, veranda and play field or provide an outdoor furniture cleaning service as well. BOOK TODAY your outdoor pressure wash services with Miss Maid – your local, trusted, and experienced cleaning provider! Q: HOW DO YOU CLEAN MY PATIO OR DRIVEWAY? A: We apply special liquid solution to the area which will help to remove all substances from the material, used in combination with specialized pressure washer equipment which is able to remove all debris, greens and moss stuck to the patio. Q: CAN YOU CLEAN NATURAL STONE PATIOS? A: Yes we can. We will be able to achieve the best possible result with our equipment, however due to the fact that natural stones can discolor over time, we cannot guarantee that we will be able bring it back to its original condition and as new. A: By having this service done with Miss Maid we will always apply treatment protection to the areas cleaned to ensure they are sealed from the weather. This way your patio, driveway or decking will stay clean for longer. 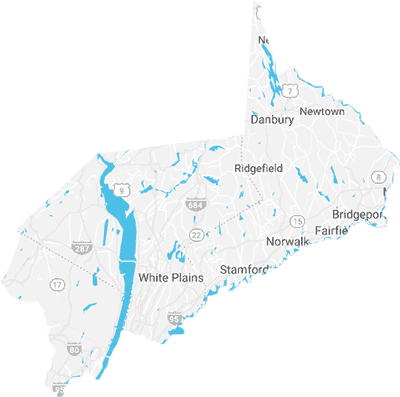 We are currently providing driveway pressure washing and exterior pressure washing services in the counties of Westchester, NY, Fairfield, CT, Rockland, NY and Bergen, NJ. We use best in class commercial grade pressure washers, pressure washer surface cleaners and environmentally safe biodegradable detergents for the best and most efficient results. Our experienced professionals are fully qualified, cross-trained and reliable individuals who will deliver our customers with the best possible driveway and exterior pressure washing services. We take all driveway and exterior pressure washing projects up to our highest quality standards. All our products and services bear Miss Maid’s quality guarantee seal.